Burro - Your Personal Pack Mule. 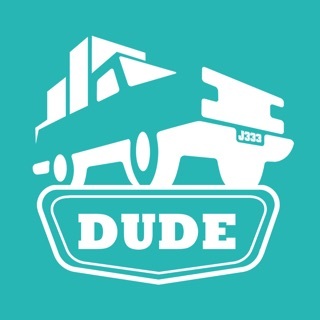 Get a furniture delivery driver in 60 seconds. Available in Austin, and San Marcos. Follow us on Twitter (@GetBurro) to get updates on new city launches. 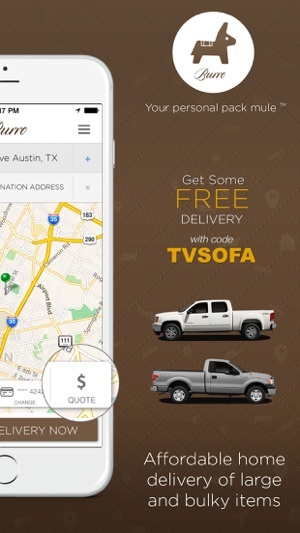 Burro makes delivering furniture and transporting large items as easy as pushing a button by connecting local movers and truck owners with people who need furniture delivered. It's ride-sharing, but for your stuff. - No hidden costs. You get a quote before buy. - Track your truck and item via GPS; you know exactly when it will arrive. 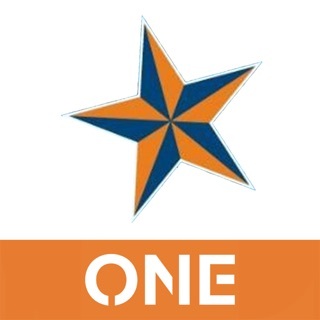 - All delivery professionals are trained, background checked, and insured with $1M in insurance. - Delivery professionals are dispatched immediately. - All packing and wrapping materials are FREE. - We delivery anything under 250 pounds that two men can lift depending on which service you select. - Delivery from hardware stores, electronic stores, mattress stores, lumber yards, and all those items you buy off those second hand online sites. Request a delivery using the app and get a driver in 60 seconds. 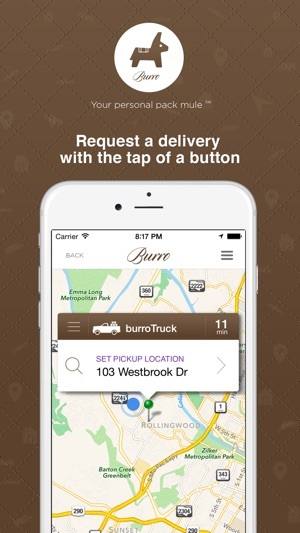 Burro is an on-demand service, so no reservations are required. You never have to rent a truckl again. Just push the button and we will come running. Set the pickup location and drop-off location on the map. When matched with your delivery agent, you can check their progress or watch them arrive turn-by-turn on the map. You can compare rates and service levels and even get a quote all through the app. Sit back, kick your feet up and let Burro do all the work. When the transport is complete, we’ll email you the receipt. 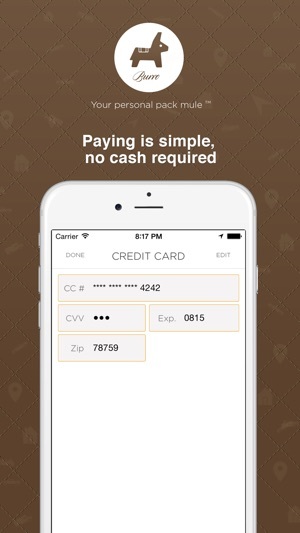 Burro works via credit card so no need to fumble around looking for exact cash. The easiest and most convenient way to deliver those large items. I was buying a large item from someone I had never met and needed to have it picked up at her place without my being there, delivered somewhere to be stored for two months and then delivered a second time from storage to an apartment when the lease started. Of course, I was doing this from a city 200 miles away from Austin, and three days of heavy rain were predicted (including the window we were given by the seller to have the item picked up). No problem at all, thanks to Jason's great customer service answering my questions about rain protection, etc. and a very intuitive app. The charge was clearly explained and estimated up front as part of the ordering process . . . and the cost came in under what was estimated. Considering price, quality of service and convenience, this was a great alternative to do-it-myself moving. 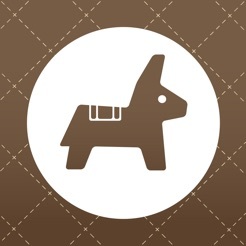 I won't hesitate to use Burro, and to recommend the service to others, in the future. Update: the developer response, it does not address my specific concerns about the management rep from Burro being rude, aggressive and unprofessional. I’m fully aware of your explanation about the app’s quote calculation. I’m not quite clear about your justification for treating customers providing feedback so poorly. Put in my order, less than 2 mins later I get a call from the mover asking about the items I needed to move and was on the way! Within the hour I had my couch moved from my old house to my new place. Never going to schedule movers, uhauls, or pay crazy amounts for store deliveries again!